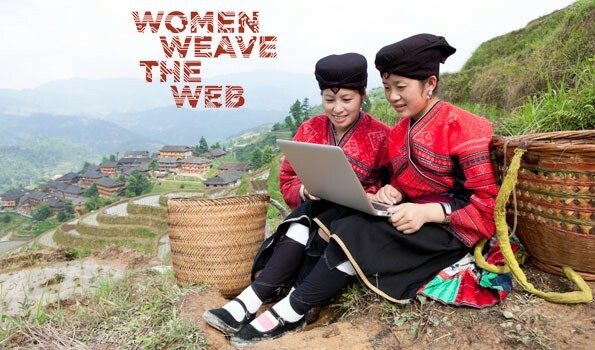 Earlier this month, World Pulse brought your voices from the WWW: Women Weave the Web Campaign to the World Summit on the Information Society (WSIS +10 High Level Event) in Geneva, Switzerland — one of the highest policy making platforms working on information and communication technology (ICT) for development. At the forum, we shared your recommendations from the Campaign with government officials, technology companies, and key stakeholders to advocate for the digital inclusion of women around the world! World Pulse Correspondent Iffat Rose Gill moderated a panel, which included Lakshmi Puri, Assistant Secretary General of the United Nations and Deputy Executive Director of UN Women; Stuart Hamilton, Director of Policy and Advocacy for International Federation of Library Associations and Institutions (IFLA); remote participation from World Pulse staff member Leana Mayzlina; and a special video message from World Pulse Founder and CEO Jensine Larsen. The panel highlighted the voices of World Pulse members Beatrice Achieng Nas and Olutosin Oladosu, and emphasized the importance of capacity-building, availability of local content, and digital access for grassroots women leaders. You can watch a video of this panel here. “I felt honored and humbled, even overwhelmed at one point, to be representing the 60,000 World Pulse sisters at WSIS+10 High Level event at Geneva,” says Gill. During the panel she emphasized the benefits of her own experiences with digital empowerment as a World Pulse Voices of Our Future Correspondent and the need to train more women around the world. As one of only a few sessions that explored the digital divide from a gender perspective, World Pulse’s panel made an impact at the summit and helped make the concerns and recommendations of women around the world more visible within a broader discussion around digital access. World Pulse also participated in a panel at the event organized by our partner IFLA on the importance of public access to the Internet. There is still time for your voice to be heard on the important issue of women’s digital empowerment. Submit now to the campaign to make your voice count!